2. No reason to go off and on! b. Turns out the old fashioned advice to not have the unneeded/unwanted/highly processed food around was correct!!! ii. I got into 10’s (from 14 before IF) and they are getting loose! iv. Bought all medium tops with Christmas money! 2. According to Centers for Disease Control and Prevention, 35% of people are sleep deprived! 4. Over 9 hours of sleep for people over the age of 18 often results in depression (or may indicate a sign of existing depression). d. Also contains a sleep center in the hypothalamus. When time to sleep, these areas send signals to the arousal system to shut down and disengage the brain for sleep. e. The arousal system and the sleep center work opposite each other; when one is active, the other one is shut down. g. We have sleep-inducing signals that accumulate in the brain the longer we are awake, the harder we work, and more we exert ourselves, etc. h. We often thwart this system with caffeine, blue light, too little activity, staying in a slow state (i.e. laziness), sleeping too much during the day, etc., so that the signal is not perceived as “off” and “on” anymore. c. Restorative processes that happen during sleep are extremely important for optimal functioning of the brain. a. Ciradian rhythm—37 trillion tiny molecular timepieces in all of our cells synchronize many of the body’s functions within the 24 hour cycle of the sun. c. A master clock tells these 37 trillion cellular clocks when to do what. This is in the hypothalamus and is the “orchestra” leader of all of those tiny cell clocks. d. Circadian disruption (interfering in the circadian rhythm) can cause us to get fat and unhealthy. b. HGH opposes cortisol—higher HGH means lower cortisol. Cortisol is the stress hormone that keeps us anxious, awake, and overweight. i. Studies show that sleeping under six hours results in lower leptin levels, higher ghrelin levels, and a distinct trigger in the brain requiring more food. iii. Another study showed that people who regularly sleep fewer than seven hours have 26% more hunger than people who sleep closer to eight hours per night. c. Research shows a 55% reduction in fat loss for sleep deprived people. ii. Another study showed a 30% drop in insulin sensitivity after four days of sleep deprivation. a. This disruption is shown in shift workers who are more likely to be heavier, have health problems, and shorter lives. 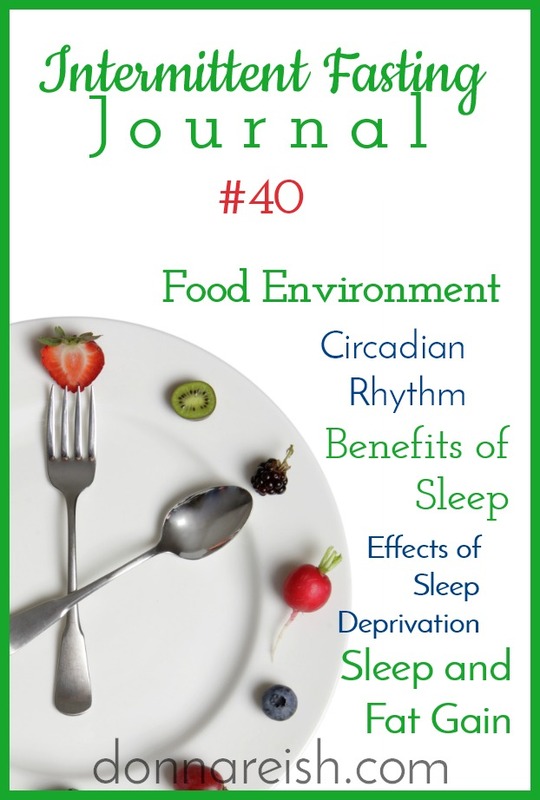 b. Circadian desynchrony (when the circadian rhythm is not in “sync”) leads to metabolic problems and weight gain. iii. By the end of the six weeks, the desynchronized mice had gained nearly 2.5 times as much weight as the ones who ate during the “daytime”—in spite of eating the same amount! ii. Fattening rodent diets are not fattening when they’re only available during the “right” time of day!